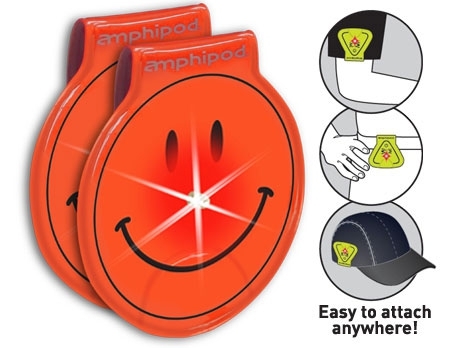 Ultra-bright Wearable flashing LED reflector. Super versatile! Wear on shorts/skirt/waistband, hydration belt, pack/bag strap, shirt sleeve/collar, vest, caps/hats and more.